Bicycling lets you have fun and maintains your fitness level as well. Bikes are kind to the environment and provide an excellent choice for commuting around town and running errands. Of course, there are other serious pursuits as well like road racing and touring. Bikes, these days, come in varying frames and sizes with different features that cater to the varying needs of different types of riders. For example, a bike made for a rider who plans to ride on lightning fast speeds on paved roads will be made differently than a bike made for a rider who plans to go for aggressive riding on extreme off-road terrains. Hence, to enjoy a fun and comfortable ride, it is important that you pick the right type of bike. Here are some basic and most popular types of bikes available out there. 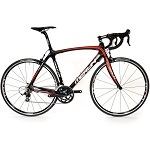 As the name suggests, road bikes are meant for riding on paved roads. They feature lightweight frames and lighter 700c wheels that allow a rider to go faster on paved roads. Most road bikes come with drop handlebars and a specially designed frame for a bent up riding position and greater aerodynamics. However, flat handlebars are also available on road bikes for riders who are not comfortable with the drop-bars. Road bikes are meant for only smooth pavements. While these can move at a cracking pace on roads, road bikes are likely to crash and fall apart on off-road terrains. Even potholes and kerbs can be difficult to endure. 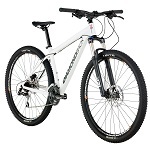 Mountain bikes, meant for riding on off-road terrains, are very popular among leisure cyclists. Their wider, knobbly tires give more traction and stability on off-road terrains while their lower gear ratio make them great for rolling up steep hills. These bikes feature heavy but very strong frames that can endure the torture from bumpy terrain. Another feature that most riders love about mountain bikes is their upright frame design with flat handlebars that provide a comfortable upright riding position and better steering control. However, they can be very heavy to roll over paved roads, unless you fit in slick tires. Mountain bikes come in two types: front suspension and full suspension. Front suspension have suspension shock systems only in the front while full suspension have both front and rear suspensions. While the former is great for rolling on bumpy terrain and for commuting on a pothole covered road, the latter is meant for riding on extreme off-road terrains and jumps and drops of up to 5 feet. So, unless you plan to pursue such extreme riding, steer clear of full suspensions otherwise you will be paying for many unnecessary features. Hybrid bikes have become the top choice for commuters and leisure cyclists today. These are basically general purpose bikes, which blend all the best characteristics of road and mountain bikes. So, if you like the lightweight design and fast speed of a road bike while the comfort and stability of a mountain bike, hybrid is the way to go. These usually feature the power of 700c wheels of road bikes while the upright frame design of a mountain bike. This blend of features make them great for rolling on both paved and unpaved roads. While a road bike can be damaged from the day-in and day-out torture of potholes, hybrids can endure them pretty well. These usually feature some suspension shock systems as well while a multiple range of gears for making them great for both riding on flat land and climbing on steep hills. Due to these features, hybrid bikes have become the top choice of commuters. Electric bikes are meant for people who want to arrive at work in a less sweaty state or who are not so concerned about their fitness level. With a 250W motor to back you up, these bikes make your workout less strenuous and make climbing hills quite easy as well. These are usually built with built-in sensors that detect the amount of pressure you are putting on the pedals and then apply the battery power accordingly. These are of course more expensive and heavier than other regular types of bikes. Folding bikes are quite popular in big cities due to their compact design and foldable features that allow you to fold them and store them in a bag, even under your desk or bed. These are great for people who have scarce space for storage. However, there are many compromises regarding the frame design and the quality of ride but they can be surprisingly nippy at times too. Bicycling has many advantages from being simply fun to ride to an environmentally friendly way to commute. Not only that but it is also a great way to maintain your fitness level. However, to enjoy all these benefits, it is crucial to buy a bike that is the right fit for you. Since bikes these days come in varying designs with varying features suitable for all kinds and ages of riders, buying the right bike is not a very easy task, especially if you have never visited a bike shop before. Here, we have put together an insightful buyer’s guide that will provide you the roadmap to find the perfect bike for you. 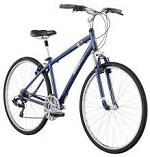 Bikes generally come in four basic types: road bikes, mountain bikes, hybrid bikes and electric bikes. The type of bike you choose depends on the purpose of your riding and where you plan to ride. Click here to read more about them in detail. Picking up the right size of bike is extremely crucial for enjoying a pleasurable ride. A wrong size will have an opposite effect; it will lead to discomfort and strain your neck and shoulders. Bikes usually come with manufacturer’s size recommendation charts based on your height and inseam measurements. Every bike type has different size recommendations so a size of a road bike that fits you well won’t be the same as the same size of a mountain bike. So, don’t mix up sizes. Similarly, women specific bikes have different sizes; so, look for women specific size recommendations. Try standing over the frame with your feet flat on the ground. There should be a distance of 1-2 inches between your crotch and the top tube. When sitting on the bike, you should be able to touch the ground on tippy toes only. It is a bit tricky to choose the material your bike is made with. Bikes are no longer available in just steel. There is a choice of steel, aluminum, carbon and titanium. Steel is very tough but heavier to ride. Despite its heaviness, many people simply can’t get over the quality of steel’s ride and so, prefer it over all other types. Also, steel is harder to maintain as it can easily corrode and rust. Aluminum is lightweight, and so, allows you to go faster. It is also quite durable. However, it rides a bit harshly and doesn’t absorb road vibrations very well. Carbon is the new revolutionary material in bike frames. 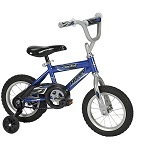 It gives ultra-lightweight frames and smooth rides due to its vibration absorbing properties. 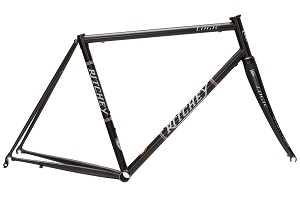 An aluminum frame with a front carbon fork is widely preferred these days. However, carbon is the most expensive material to choose and the durability of the carbon will depend on the quality of carbon fiber used. Titanium is also the top choice of riders due to its light weight plus super strength as well as toughness and durability. However, it is among the most expensive. The type of wheel and size you choose depends on where you plan to ride. 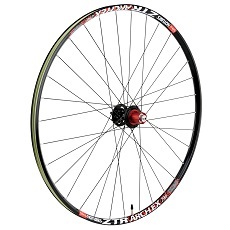 Most road bikes come with 700c tires for providing faster acceleration. Mountain bikes usually sport 26 inch tire diameter. 29er mountain bikes and hybrid bikes use 700c tires but with more width and knobbier style for providing better traction and stability. The wheel tread varies from slick, semi-slick, inverted tread and knobbies. Slick provide very less traction but fast acceleration. Semi-slick are almost like slick but they have aggressive tread on the sides to help with cornering. Inverted tread have more rolling resistance than slick but lower than knobbies and provide a better grip. Knobby tires provide more resistance and superb grip for riding on aggressive terrains. Flat or platform pedals are most common. However, to increase efficiency by securing your shoes firmly to the pedal, clip-less pedals are being used these days in many high-performance bikes. Toe clips and straps also secure your feet firmly onto the pedal but with straps and clips. The pedal you choose depends on the type of riding you do, whether you use special cycling shoes, and what you feel most comfortable riding. Bikes are available in every price range starting from $200. However, like anything else, you get what you pay for. So, if you want a high performance bike, expect to pay around $1000. We hope that you enjoy your time on our best bicycles for 2018 website. Feel free to contact us with any issues whatsoever.